As I mentioned in an earlier post, summer is a difficult time to write new recipes. 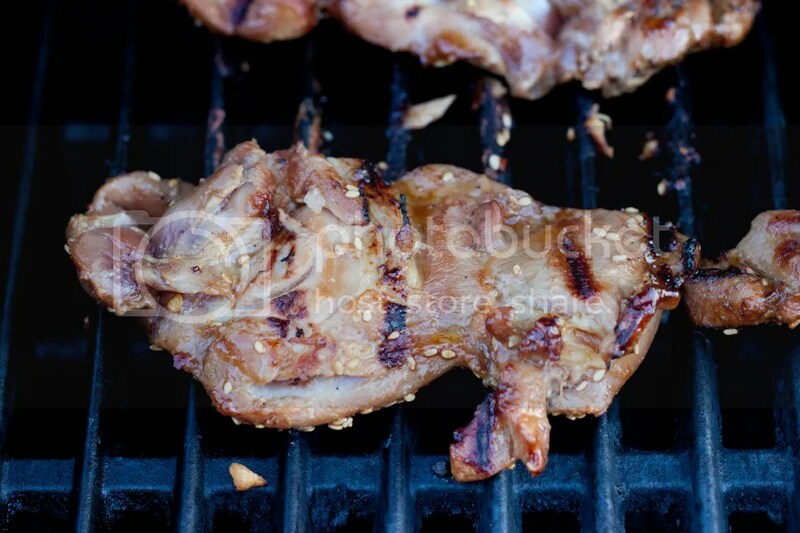 We’ve spent a lot of this summer traveling or entertaining guests; when we are home, I usually prefer to grill something, and most of my grilling recipes are already on this site. However, this has also been a good time for me to try out healthier versions of pre-Paleo dishes, like teriyaki chicken. 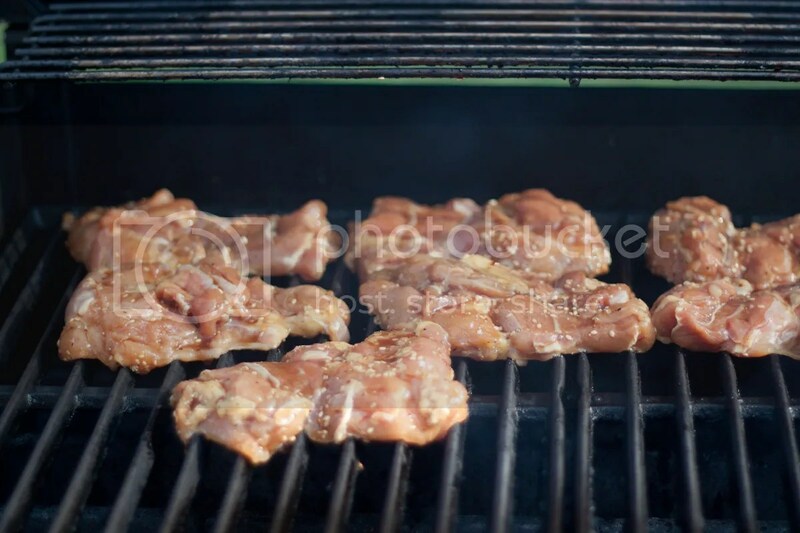 I grew up in Washington state, where you’ll find an abundance of Asian restaurants selling “teriyaki chicken” – likely influenced by traditional Japanese teriyaki sauce, which is made with soy sauce, cooking wine, and sugar or honey. 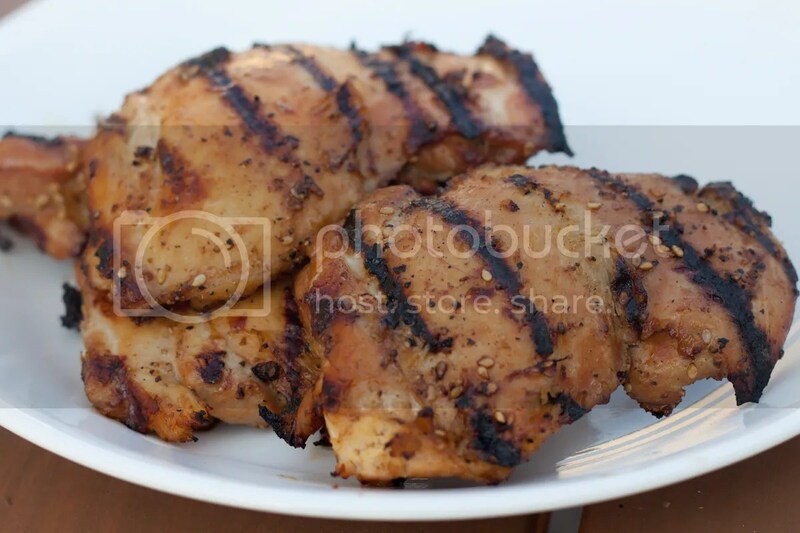 Hawaii has a similar dish, simply called “BBQ chicken”. Traditionally, the sauce is boiled down and thickened before marinating the meat, but it’s often too long of a prep to cap onto an already long marinating process (2-4 hours). Here’s how I make it at home. Finding Paleo-friendly oyster sauce is possible, but sometimes difficult. The best sauces I’ve found have been at Korean markets, but the labels are usually in in Korean (the ingredients, thankfully, are not). If you can’t find any, it’s okay – it’s not a dealbreaker. If you don’t want to use honey, you can grate half an apple and add that instead. Also, mirin is rice wine, so I’m not sure how that falls into the Paleo spectrum. I figure it’s the same as having an occasional sip of beer – especially since this recipe only calls for 1 tbsp (which is spread out among 6-8 chicken pieces), so I think it’s harmless for anyone that’s strictly grain-free. Okay, enough caveats, let’s do some cooking. Mix the ingredients together and add them to a ziploc bag of the chicken thighs; marinate for 2-4 hours. Remove the chicken and retain the marinade. Grill the chicken on direct heat on medium for 5 minutes, then move to indirect heat for 5 more minutes. Flip the chicken and put it back on direct heat for another 5 minutes. Check the internal temperature; if it’s 160 degrees, you’re ready to eat. Otherwise, continue to cook on indirect heat and check the temperature every five minutes. I would ask how it tasted…but you dont reply to comments anymore. I’m making your teriyaki sauce from your cookknook and it’s not thickening! Was I supposed to take it off the stove when mixing in the tapioca/water slurry? Hi Karen, you want the sauce to be nice and bubbling when adding the slurry. 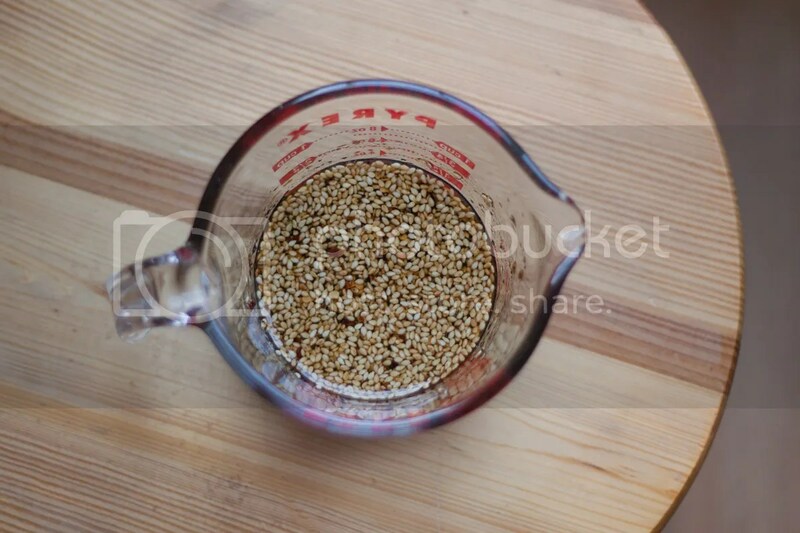 If it doesn’t thicken, I would make a bit more slurry and add it in – some brands/batches thicken better than others, and tapioca doesn’t thicken as well as arrowroot. Good luck!